The company ACRIS LOGOSTICc is ready to offer our partners the services of customs license warehouse, alongside with the main direction – food distribution. 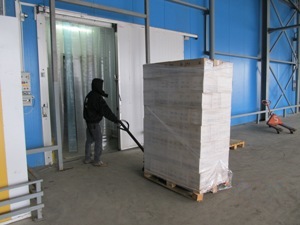 Such warehouses allow to use available transfer possibilities more effectively. We own perfectly equipped warehouses where we can safely store hundreds tons of cargoes. What can the company ACRIS LOGOSTIC offer? Warehouses are located within the city, close to the main highways. There's no need to look for the address long, and it essentially saves our partners' time and money. As we grant a rent of not usual, but customs license warehouse, one can store the imported goods from abroad without paying thus taxes or the state duty legally. However it is necessary to remember that there is a certain term limit accurately spelled out in the Ukrainian legislation. It is one of the most convenient services possible in the sphere of warehouse logistics. Nowadays it is not only profitable, but also convenient to store the import goods. The company ACRIS LOGOSTIC provides warehouse areas at very long, seasonal period, that allows to store in a customs mode season articles profitably and without loss, waiting the best period for market sales. Our flexible price policy allows not only to work to the benefit, but also to offer rather democratic prices for customs warehouse services. We have solid experience in the sphere of warehouse services and work as one team. Therefore the idle time or slips are brought almost to naught. 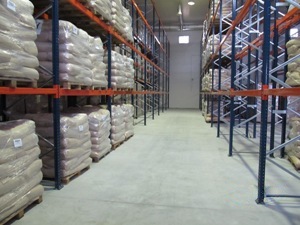 In our warehouses each square meter is effectively used, and therefore we can provide rather well-priced rent. Warehouse workload changes daily, however we always know, whether there are free areas, and at what term. Team work of customs license warehouse allows to be not only a reliable partner for our clients but also to work effectively, without idle times, saving our and your time. The company ACRIS LOGOSTIC is an accurate, timely and flexible work of all logistics sphere components.